Dave Van Kesteren was first elected in January 2006 as a Member of Parliament for Chatham-Kent-Essex. His election to office marked the first time in 17 years that Chatham-Kent-Essex elected a Conservative to Parliament. Prior to the October 2015 general election the riding was expanded and re-named Chatham-Kent–Leamington. Subsequent to becoming the Member of Parliament for Chatham-Kent–Leamington, Dave worked in the auto industry. In 1985, Dave opened his first auto body shop, later running his own used car business and then becoming a Hyundai dealer in 1996. Born in Chatham to Dutch parents who immigrated to Canada in the early 1950`s, he is the seventh child of ten children. Strong proponents of family values, Dave and his wife Faye have celebrated¬ 40 years of marriage, have eight adult children, and have been blessed with many grandchildren. During his time as a Member of Parliament he has served on several Committees: In the 39th Parliament, he was a Member of the Standing Committee on Access to Information, Privacy and Ethics; the Standing Committee on Industry, Science and Technology; and the Subcommittee on Oil and Gas and other Energy Prices. 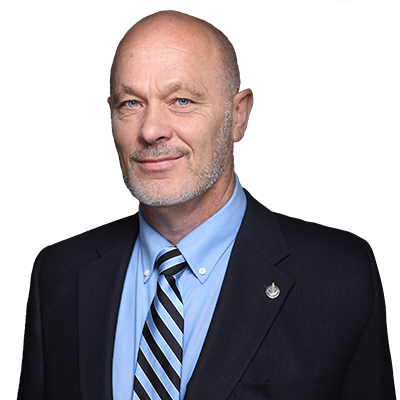 In the 40th Parliament he was again a Member of the Standing Committee on Industry, Science and Technology; the Standing Committee on Fisheries and Oceans; and completed his first chairmanship of the Sub-Committee on Canadian Industrial Sectors. For the second session of the 40th Parliament, he was a Member of the Standing Committee on the Status of Women and Standing Committee on Industry, Science and Technology. The third session of Parliament, he continued his work as a Member of the Standing Committee on Industry, Science and Technology and the Standing Committee on Foreign Affairs and International Development. In the 41st Parliament he was named to the Standing Committee on Finance and remained so until the end of the 41st parliament. He began this 42nd Parliament as the deputy critic of International Trade for the Official Opposition and sat on the Standing Committee for International Trade. He now sits on the Standing Joint Committee on the Library of Parliament and is the deputy critic for Families, Children and Social Development. He is also the chair of the CPC Ontario Regional Caucus. He is an active member of numerous Parliamentary Legislative Associations, Inter-parliamentary Groups and Friendship groups. He is also a member of several caucuses that focus on specific issues related to the Canadian industry sectors. Now a Member Parliament for the Official Opposition he is honored to continue to represent the people of Chatham-Kent-Leamington and their interests at the Federal level. He is very proud of the riding and works hard every day to keep Canada a strong and prosperous nation, not only for our generation but for those generations to come.